Suddenly during use. One display stopped working. Tried restarting the device few times and not helping. This is a brand new device that just arrived today. Trying a device reset now see if it helps. If a device reset does not help, please contact HoloLens support (the link is at the bottom of this page). after calling the UK support number, I got a hololens support line number, but it seems that it only accept calls from US only. So I still haven't got the device repair or returned. One thing I am thinking to do is roll back to an older version of the software ( cos the issue appeared shortly after the device updated). Has anyone tried that? How do one roll back to an older version? Support for HoloLens devices is currently only available in the United States and Canada but support for our newly launched countries will begin on November 30th. The easiest route to support is through our online incident submission page. 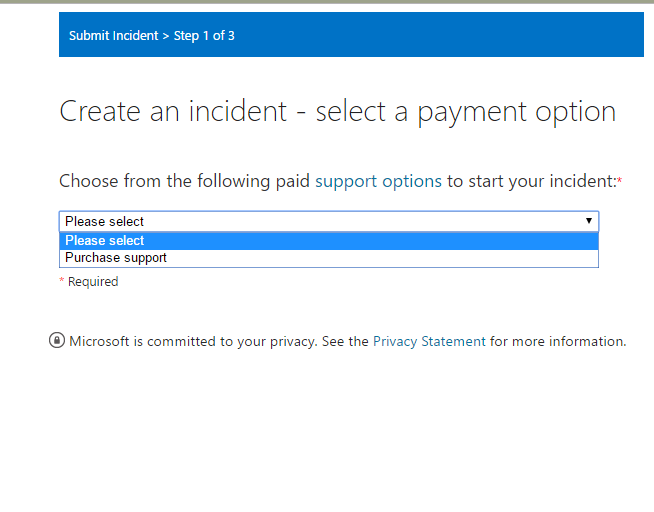 Creating a support incident online will connect you with a support engineer just as quickly as calling in. This link is also available at the bottom of our HoloLens support website. Any other route I could try ? Could you send me your ticket number (SR number i believe it is) to [email protected] please? Thanks Vanessa. I have not got a ticket number but I have emailed you anyway. Thanks again for your help. Hi @Box1 - Another Microsoft person here trying to figure out why the support links aren't working for you. Your image links above are broken. Please e-mail them to me directly at [email protected] I will sort out why you can't get into support. Hi @Box01 - i believe this has been resolved, can you confirm? thank you!